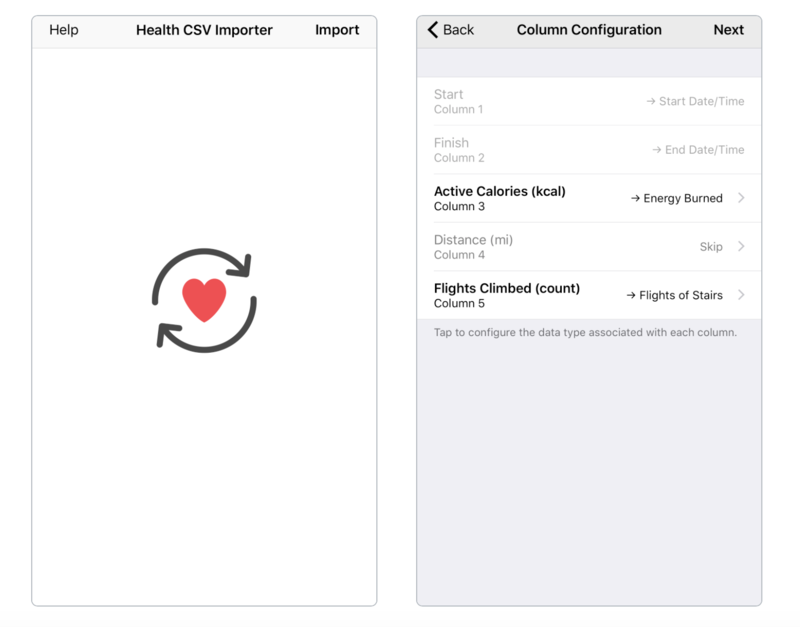 If you have some CSV Files (perhaps from a 3rd party service) that you want to import into the Health app, Health CSV Importer does the trick. It supports all the in Apple Health, except Activity Summaries, Stand Hours, Exercise Time, and Nike Fuel. If you have a CSV file from your doctor, Google Fit on Android, or another 3rd party export, give this app a try!